Home>>The Rest>>Morgan Academy>>Autobiographies>Bill&JeanDuncan<You are here. The overlap between our two autobiographies is so obvious that we decided that in our case a combined effort made more sense – and I, Bill, drew the ‘short straw’ to write it! My own link with Morgan Academy extends right back through to the start of my primary schooling. The Duncan family lived just off Forfar Road in Shamrock Street, so close to the Morgan in fact, that I could wait until I heard the bell ringing for classes to begin before leaving home! We are talking the days of World War 2 - some Morgan classes were even held in our attic - my sister Muriel was an ‘evacuee’. My primary class had two ‘William Duncans’, and our then teacher Mr Dryden decided to refer to us by using only our middle initials – mine were ‘DC’. I was thereafter referred to as ‘DC’, which moniker ‘stuck’ for the rest of my time at the Morgan. I hated it, especially when it was ‘mangled’ to ‘Daisy’! Jean lived in Eden Street just off Arbroath Road and attended Glebelands School, before moving to the Morgan for her secondary education. Her early memories include having school lunches at the nearby St Patricks Catholic School. All very peaceable until St Patrick’s Day when you were likely to be challenged ‘Scotch or Irish’, with a beating if you gave the wrong answer! 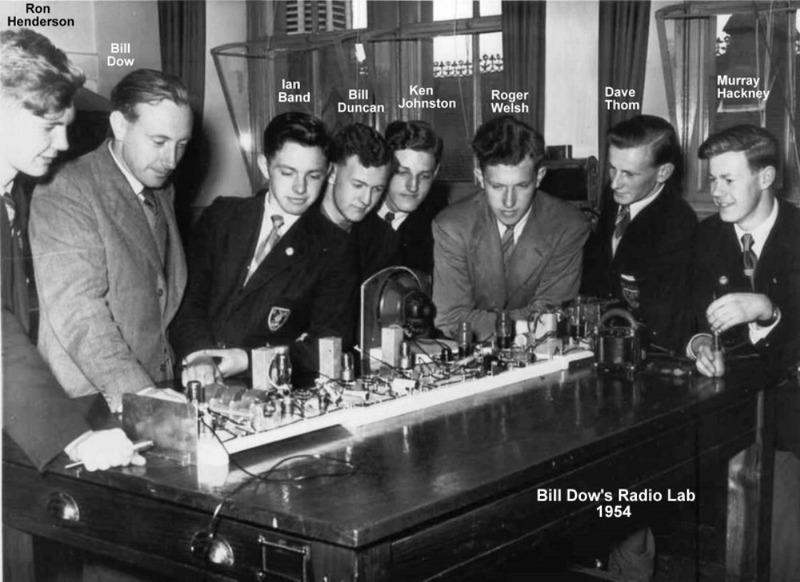 School was not always 'chalk and talk' and our sixth year science class under the leadership of our teacher Bill Dow, set out to build a radio with each member of the class making one section of it on a separate wooden board. When the sections were hooked up - voila! - we had a fully functioning radio. Scottish country dancing was in vogue in the 1950s and Jean was a member of a Morgan Scottish country dance team which competed at the Caird Hall. Meanwhile Mickey Grahame, Gordon Simpson, David Ramsay and I formed our own scottish country dance band and we were in demand to play for country dancing classes held at various churches in the district. We were known simply as "The Boys' Band" and enjoyed contributing to these local community activities. 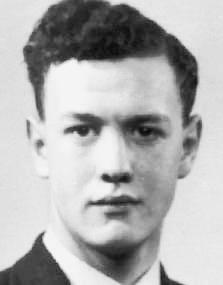 Jean and I first met in July 1953 on a school holiday to Austria – one of the first of its kind to be held. We travelled by coach to London, by ferry from Dover to Calais and thereafter by train to Austria. Our destination was the Hotel Seehof by the shores of the Achensee, near Innsbruck. We were accompanied by the head of the mathematics department, Miss Mackie, and the head of the geography department, Mr Brown. Jean and I ‘fell foul’ of them one evening for being late back for ‘curfew’! I think our school cards were ‘marked’ after that! But romance blossomed by the side of the Achensee! After leaving the Morgan, I studied Mechanical Engineering at Queens College, Dundee and struggled to pass my maths exams (Mr Robertson, our Rector had earlier expressed the view that my maths was not good enough for me to do engineering – he was very nearly right!). I finally graduated in October 1958. Meanwhile Jean had enrolled at Dunfermline College of Physical Education, then based in Aberdeen and she graduated in June of the same year. Our romance survived the three year separation, and we married in Maryfield Church on 11 July 1958, with a reception afterwards at Woodlands Hotel in Broughty Ferry. I obtained a management traineeship with the Scottish Gas Board, and spent the next two years learning the gas business. I then moved into our family business which had been foreshadowed prior to my father’s death whilst I was still at university. At the same time, Jean and I settled into the other family business and produced four children during the next five years – our eldest Neil, followed by Iain, then Anne and finally Fergus. This did not deter Jean from pursuing her career in teaching, however, and she followed up her Phys Ed qualification with a Diploma in Primary Education at Dundee Training College, whilst ‘Granny' Anderson babysat our youngest Fergus. Came 1970, and the decision to emigrate to Australia. The “family business” I referred to earlier was originally what was known as a ‘millfurnisher’, that is a supplier of equipment and consumable items for use in mills producing jute, flax and woollen goods. The business had been established in 1883 and had since broadened its business to include general industrial supplies for customers throughout the east coast of Scotland. The economic situation in Britain was however deteriorating and it became clear to me that the industries upon which the business depended were likely to disappear, eg. the demise of the jute industry in Dundee. It was then that I began to think of emigrating as a way of taking our growing family to a new life ‘down under’. After several interviews, I was appointed to the position of State Manager for South Australia, based in Adelaide. The company was Bells Asbestos and Engineering – at that time the dangers of asbestos-related disease had received little publicity and I was thus unaware of these concerns when I agreed to accept the position! 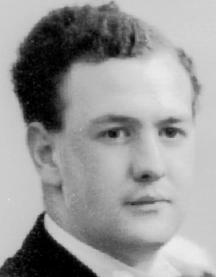 Thus I left Scotland for Adelaide in June 1970 and Jean and our four children followed in August. Although one of the smaller states of Australia, South Australia is nonetheless seven times the area of Great Britain, and my role involved visiting customers such as the zinc, silver and lead mines to the north at Broken Hill, the iron mines, steelworks and shipbuilding yards to the west at Whyalla and the pine forests and paper industry to the south near Mount Gambier. I was told that I had seen more of South Australia in my first four weeks than most locals had seen in their lifetime! 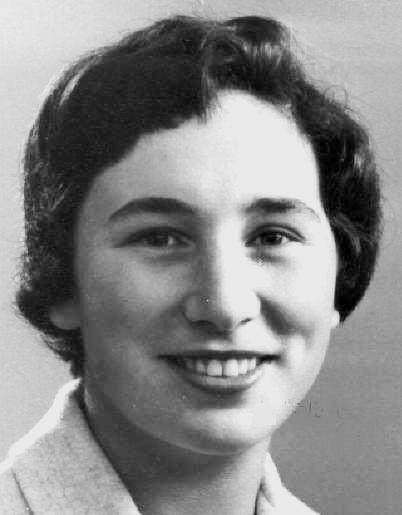 Following our arrival, Jean lost no time in obtaining a teaching position, initially with the local Department of Education as a teacher of physical education at Port Adelaide Girls Technical High School – with students from a migrant hostel where many girls had only a very limited knowledge of English. After a year, she joined the staff of St Peters Girls School where she taught a double class of around 40 grade 6 girls. The boys attended Westminster School and Anne attended Methodist Ladies College. The next three years in Adelaide were amongst the happiest for our family, as we forged our new identities as ‘Aussies’ - and of course, as we knew they would, our parents came ‘down under’ to visit us in Adelaide – an experience which they thoroughly enjoyed, and which they repeated many times. We moved to Sydney in 1973, when I was offered the position of National Marketing Manager for Bells parent company Bestobell Australia. We decided to live on Sydney’s north shore, where my office was located, and to enrol our three sons at nearby Knox Grammar School and Anne at an equally close Ravenswood School for Girls. 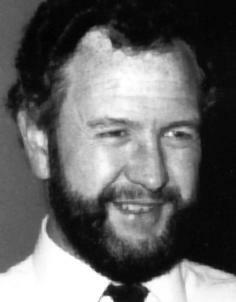 Jean obtained a position as a primary teacher, also at Knox Grammar. We were thus able to avoid the need for lengthy daily commuting and could enjoy our Sydney lifestyle. In 1975, I changed jobs and moved into a new field – the glass industry, as marketing manager for the automotive windscreen division of O’Brien Glass Industries. That company had been recently acquired by a South African conglomerate in glass and timber – PG Industries based in Johannesburg. Apartheid was causing many South African companies to look for an ‘escape’ strategy, in the event that their businesses fell victim of the upheaval and unrest. PG Industries was a manufacturer of car windscreens in South Africa and their strategy was to establish a similar plant in Sydney to manufacture their windscreens in Australia. O’Brien Glass however, had only a limited business in the sale and fitting of car windscreens. The establishment of specialised outlets for the sale and fitting of car windscreens at 65 different locations around the Australian continent thus became the object of my endeavours for the next seven years of my life. The family oft complained of my frequent absences from the dinner table, however my labours eventually won me a prestigious Hoover Award in 1979 for Excellence in Domestic Marketing in recognition of the successful development and marketing of ‘Windscreens’ O’Brien’. In 1978, Jean was appointed to the position of Principal of Wenona Junior School in North Sydney. Wenona School is an independent non-denominational school for around 1200 girls from primary through to Year 12. The position initially included teaching a class of grade 6 girls which was what Jean enjoyed most doing. Later however, she became full-time principal of the Junior School and this was to be the position that saw her through to her eventual retirement in April 1998, having served for twenty years. The ‘eighties’ proved to be a turbulent decade for me, with a decision to leave the O’Brien organisation for what seemed at first a promising move into a major organisation with international opportunities. This proved not to be the case and I entered instead into the business of franchise consulting, with clients in the floristry, hairdressing, and sportswear businesses. Expansion of those businesses came to a shuddering halt however, when Australia entered recession in 1988 and my consultancy business evaporated! So - as we entered the nineties, my career took a new and unexpected turn and I became a public servant – initially in Sydney where I started work with a Commonwealth Government organisation called Comcare. Following the subsequent closure of their Sydney office, my job was relocated to Canberra. Jean decided to use the opportunity to retire from Wenona, thus clearing the way for us to make the move to Canberra. The decision was made easier for us, given that our son Iain, and our daughter Anne were both living in Canberra with five of our grandchildren, and we could look forward to playing a more supportive role as grandparents. Comcare administers the workers compensation and occupational health and safety legislation as it applies to all employees of the Australian Government both in Australia and also its offices overseas. My work involved the design and establishment of a OH&S website as a training and reference facility for use ‘online’ by any one of these Australian Government offices. Later, I also went on to establish and manage a health and wellbeing program for staff of the Canberra office where I worked and which had the effect of reducing the incidence of workplace injury such as occupational overuse syndrome. I continued to work for Comcare until my retiral in 2006, when I reached the age of seventy. Jean and I continue to live in Canberra, as our preferred choice to ‘see out’ our days. We have been in the habit of visiting Scotland every other year, however with the death of Jean’s mother in 2004 and her father in 2006, our links with the ‘auld country’ have dwindled. If you would like to get in touch, we’d love to hear from you - our email address (for both Jean and me) is WDCDuncan@gmail.com The ‘DC” lives on!